Pelvic cancers, such as cervical cancer and ovarian cancer are some of the most common cancers to affect women, and can affect women of all ages. To give you an idea of how common this kind of cancer is, ovarian cancer affects more than 6500 women a year in the UK alone, and it’s the fifth most common kind of cancer in women. Pelvic cancers, such as womb cancer and ovarian cancer often go unnoticed for a long period of time, because the symptoms often aren’t very obvious and can easily be mistaken for other conditions. If you are suffering from one or more of these problems, don’t panic – the chances are it won’t be anything sinister, but if you are concerned, it’s worth going to speak to your GP who can give you a check up. Scans: scans such as ultrasound, MRI scans and CAT scans can look inside the body to see if there are any abnormalities. Biopsy: for cancers such as cervical cancer, doctors may take a small sample of cells to test for cancer. The tests that you will have will vary depending on whether your doctor is concerned about your cervix, uterus or ovaries. Chemotherapy: chemotherapy involves using medicine to kill the cancer cells. Side effects include hair loss, sickness and weight loss. 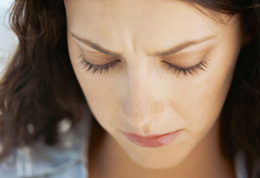 Chemotherapy can either be given as tablets, or as injections. 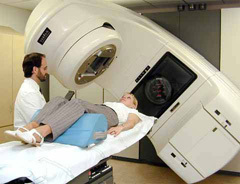 Radiotherapy: radiotherapy involves using high powered x-rays to treat cancer. Often, radiotherapy is used alongside either chemotherapy or sugery – for example it may be used to shrink a tumour before it is removed in surgery. Surgery: very commonly, doctors will perform surgery to remove the cancer. Sometimes, this is enough to get rid of the cancer altogether, or can be used alongside chemotherapy and radiotherapy. Surgery for pelvic cancer, as with any other pelvic surgery, can damage your pelvic floor muscles and leave you more prone to incontinence and prolapse. If you are undergoing treatment for cancer, or have not yet received the all-clear, you should not use one of our electronic pelvic toners such as the Kegel8 Ultra, because electronic muscle stimulation is contraindicated in people receiving cancer treatment. However you can use one of our effective manual pelvic floor exercisers such as the Kegel8 Trainer or Kegel8 Vaginal Cones to exercise your pelvic floor until you get the all-clear. Exercising before and after surgery is a great way to prevent leaks, and can help you to strengthen up again after surgery to wave goodbye to any embarrassing leaks.